4.While rice is soaking rinse the banana leaves and dry it with kitchen towel or paper towel and cut it into 7 inches wide put it in the microwave for 30 seconds. 9. Pour 1/2 cup of the mixture into the mold.steam it for 15 minutes. 10.After 15 minutes switch the layers of the steamer if using 2 layers after switching steam for another 10 minutes.If you only using 1layer of steamer, just steam it for 20 minutes. Baka hindi nalagyan ng baking powder kaya hindi umalsa. Use 2Tbsp of Baking Powder. 3Tsp is not enough. Doesnt matter po ba, kahiy ano rice gagamitin ? Nag try din ako hindi umalsa may baking powder naman ni lagay ko..think need yeast? 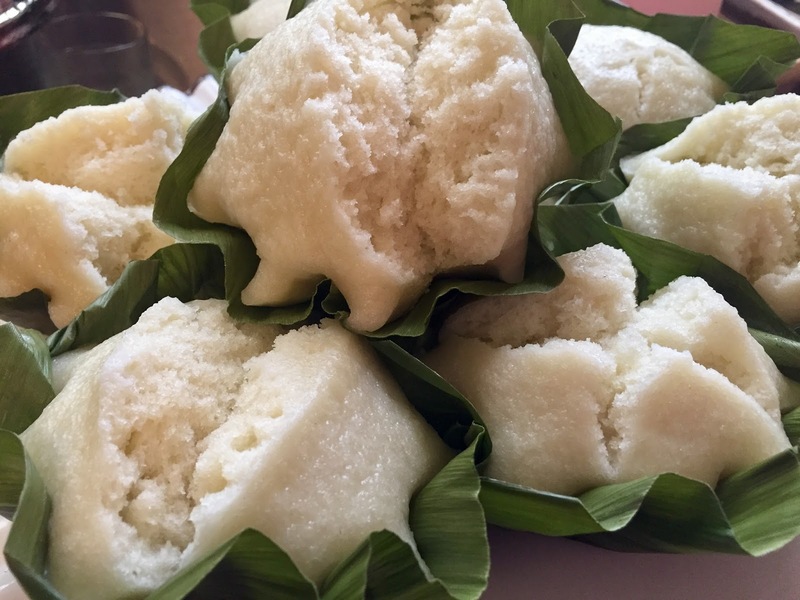 Can I use rice flour instead of rice?